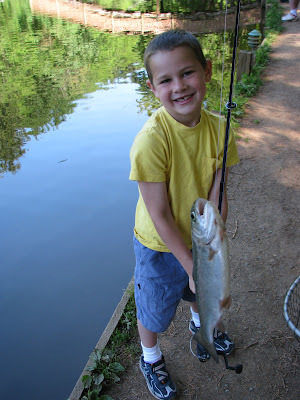 Last week my son's kindergarten class went on a fishing field trip... The kids had a blast and Alex was absolutely beside himself when he caught his very own fish (he had it for dinner that night!). I can't believe this school year is over... I wouldn't have missed spending this time with him for anything!! 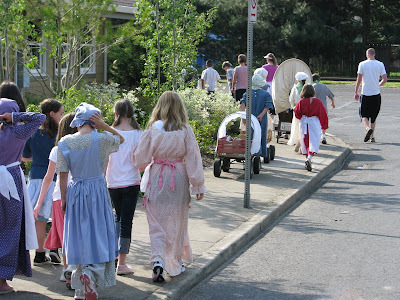 Yesterday, I joined my daughter Rita on a walk around our little town. 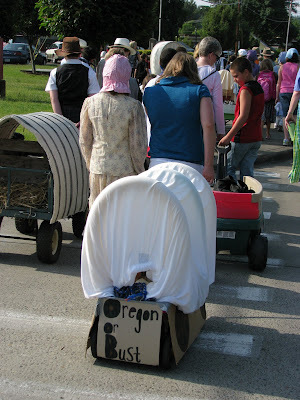 Every year, the fourth graders at our elementary school recreate the Oregon Trail. 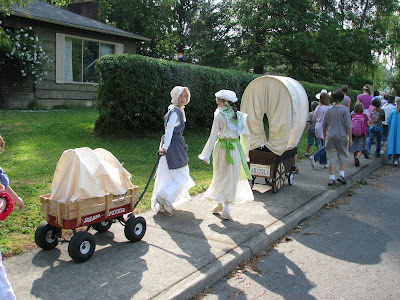 The children love to dress in period clothes, and craft their own wagons as they prepare for a long walk. The day ends with a picnic at the park, music, dance and treats. These are the sweet memories we will treasure forever!! What a wonderful time to share with your children! 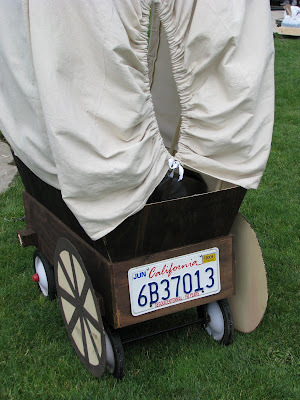 Did you where a costume too? 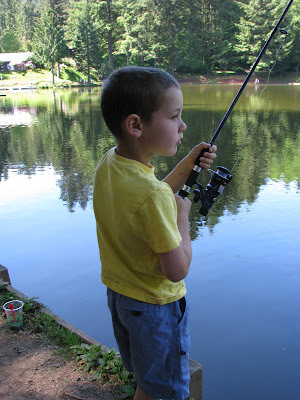 So very special..love the picture of him fishing and then with the proud catch. He'll love those photos when he's older! Cherish the moments because they go by so quickly. My daughter is now 19 and I miss those days! Well Done Alex! 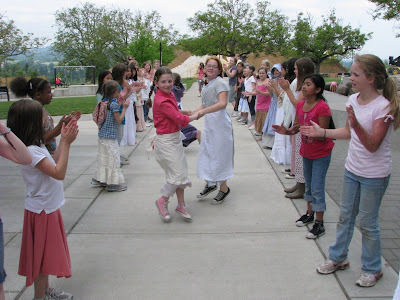 Your daughter's class looked they had fun!! Thanks for sharing! Such a beautiful post, Isabel!!! Wish we could have had more time to visit at Farm Chicks . . . but it was BUSY one, wasn't it?! 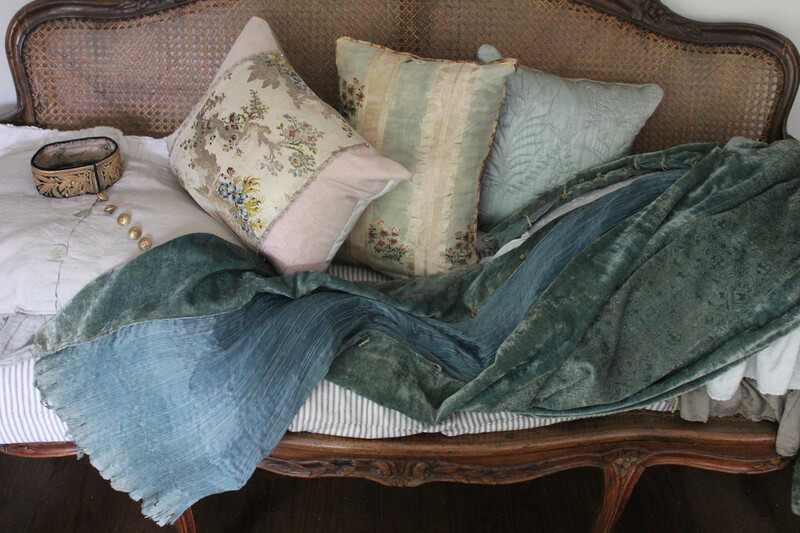 Oh, bonnets, bonnets, bonnets! Doesn't your daughter look lovely! 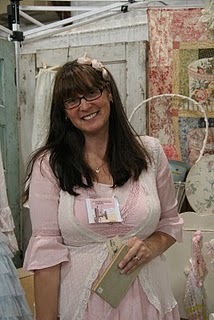 I have several vintage bonnets, but I am getting a bit old for them now... 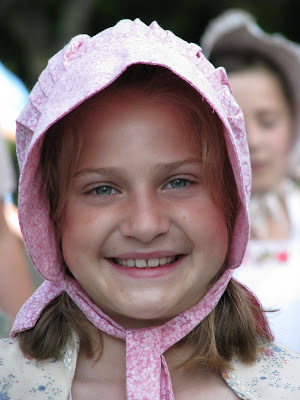 When I was a little girl I knew I'd have been like Laura Ingalls, and thrown my bonnet back, but that hasn't stopped me from loving them. What a bunch of cuties! And how wonderful that you son caught a fish...it's HUGE! The Lake sure looks pretty. I love your previous post about your adventure. The booth looks fabulous.